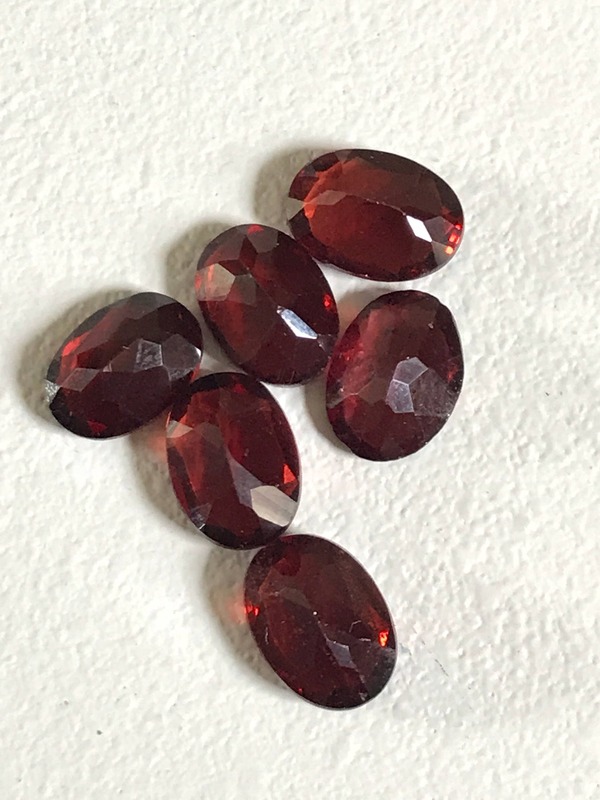 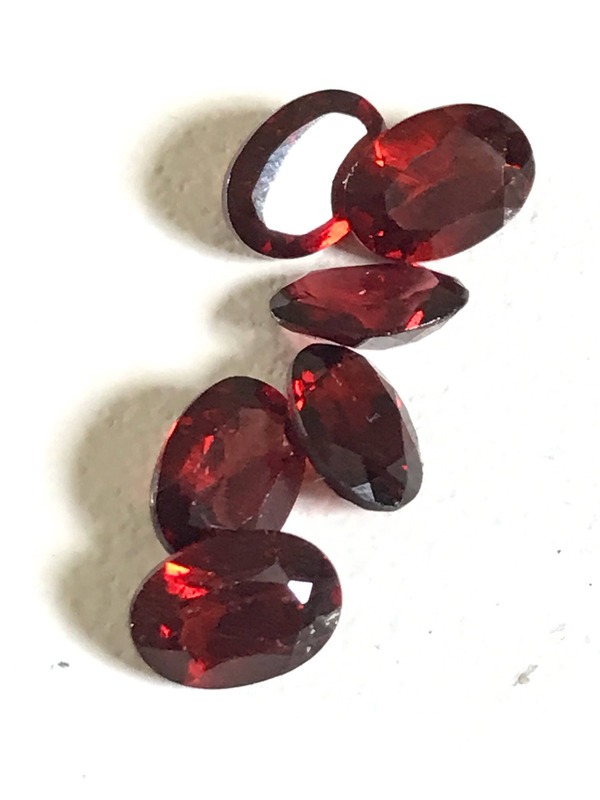 Offered here is a fine red colored garnet oval cut faceted gem parcel. 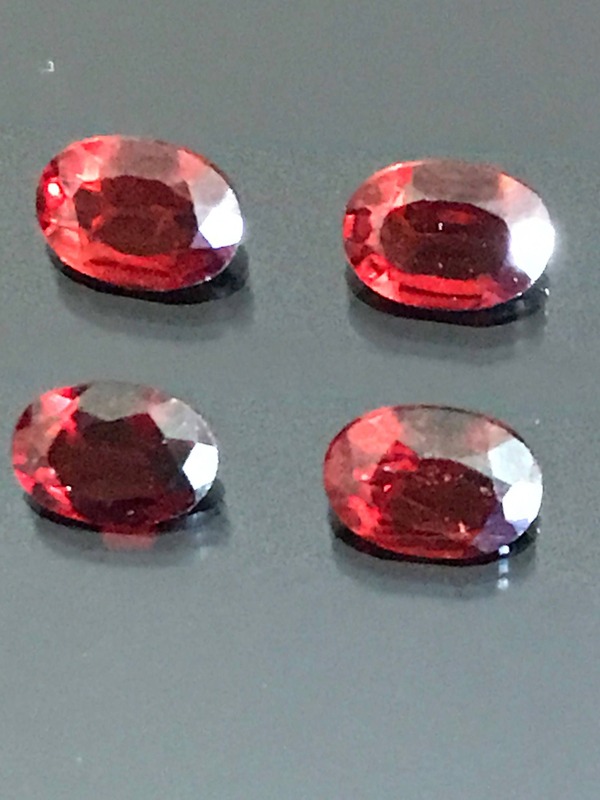 This would be excellent in jewelry making or a beautiful craft project. 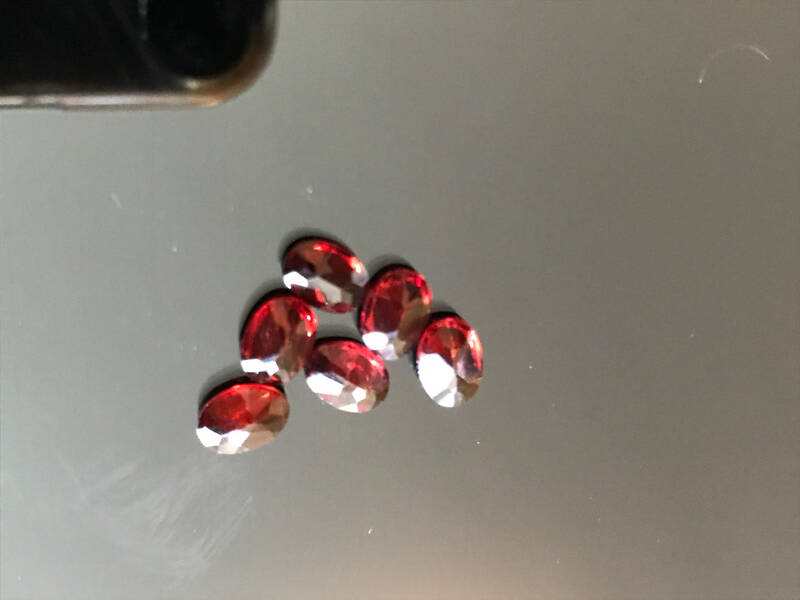 Total weight on my scale is: 3.75 ct. 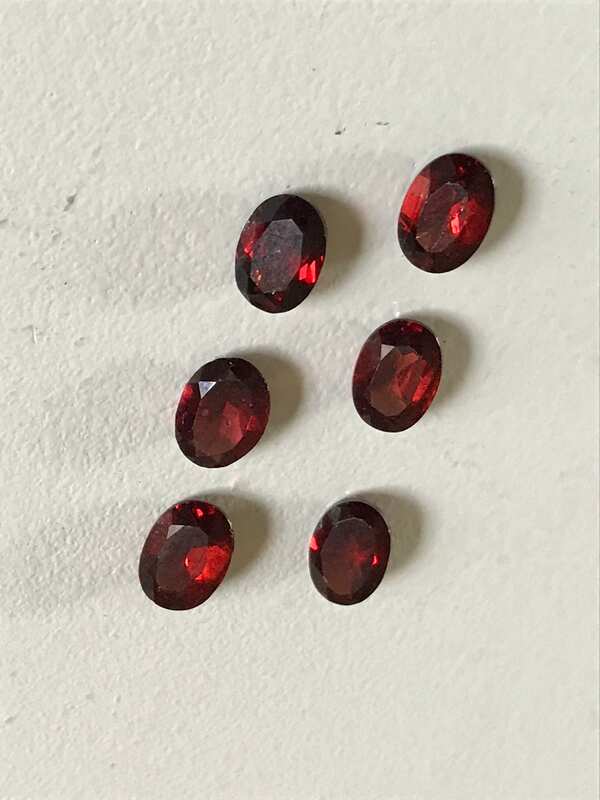 Rough dimension ranges on these stones are 2.6-3.45mm tall x 5-5.2mm wide x 6.75-8mm length). 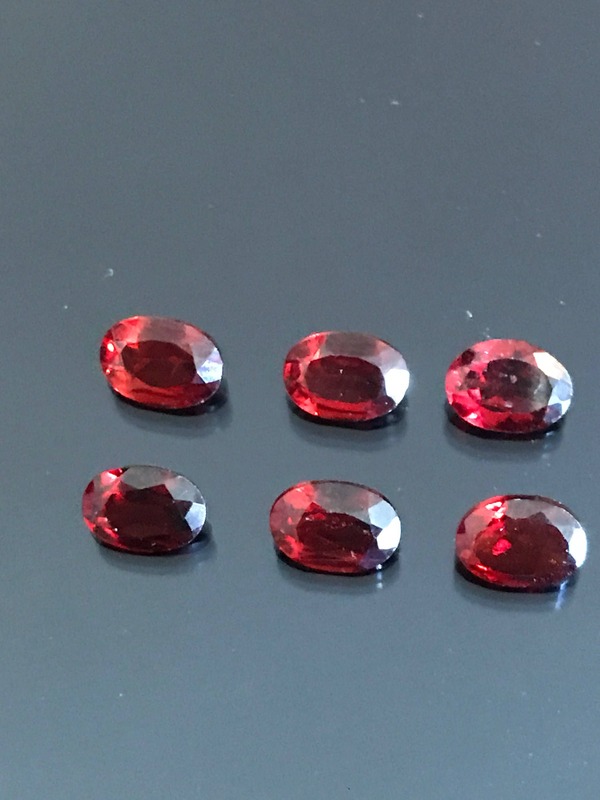 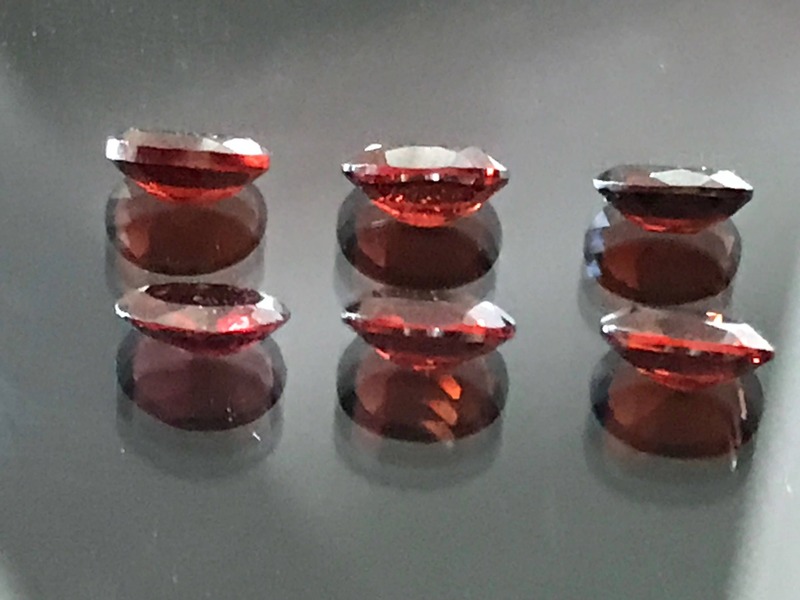 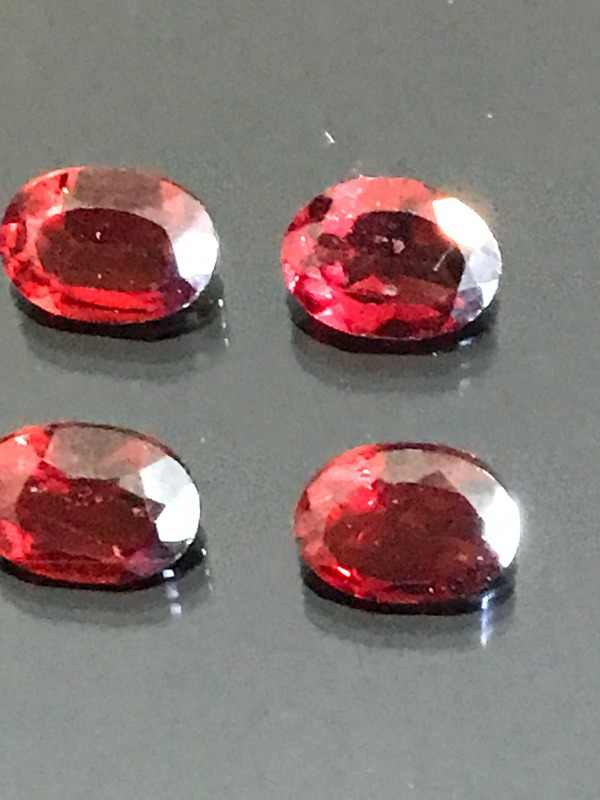 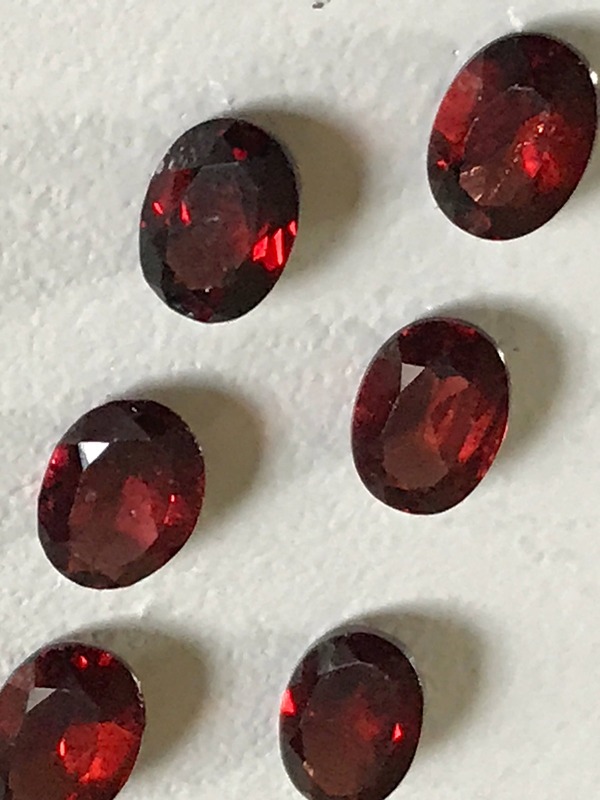 Great bright red color with good consistency across stones!